If the windows of your home are portals to the outside world, than the draperies which adorn those windows are decorative accessories to the universe beyond your door. You probably didn’t realize your drapes did so much, did you? 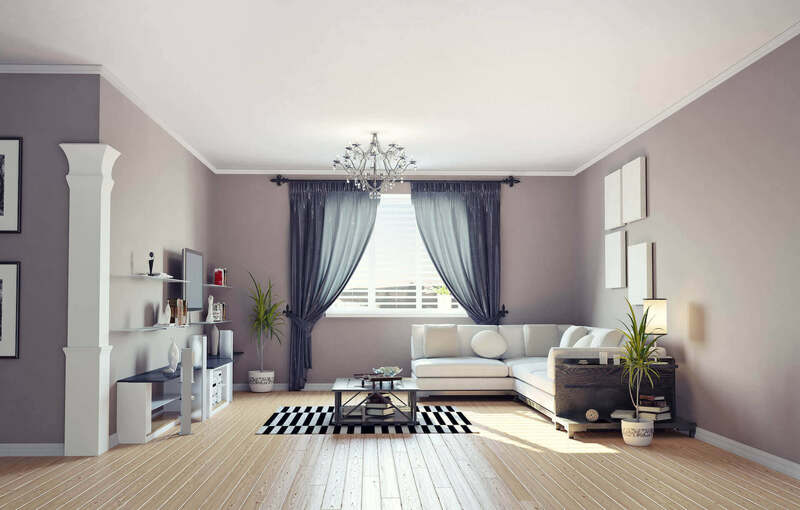 Maybe it’s a lot of weight to put upon a couple piece of cloth on either side of a piece of glass, but if you think about it, the drapes in your house help to establish or destroy your home motif. The right drapes can add tons of personality to a room or space by complimenting the light pouring in, or they can help by adding their own color in the absence of light when drawn. Heavier drapes can even provide insulation on those cold, winter days to keep your windows from wasting too much of that precious heat. The thing about drapes is that, when they get too coated in dust and other daily filth, it can begin to affect the air quality around them. If you are particularly sensitive to dust and other allergens, the view from your favorite window can be ruined by having curtains or drapes covered in sneezy stuff. It’s hard to enjoy a sunset when you’re plagued by a tickled sniffer. A lot of care for drapes can be done on your own, with simple, consistent, and regular washing practices. Of course, depending on the materials and colors you’re working with in your drapes, you might have reason to be concerned about color running or fading, or perhaps the materials becoming worn or damaged in the cleaning process. Lucky for you (if you’re in Manhattan), we offer services which can entail fireproofing treatment, steam and dry cleaning, stain removal, scotch guard, pickup, delivery, and even re-installation of your drapes. We can work with all kinds of materials and all kinds of curtain types. Sheer drapes, silk drapes, velvet, antique, and all manner of drapes are part of our repertoire as drape cleaners in New York City. Of course, we apply this principal to everything we do, but our goal when it comes to drape cleaning is to leave your items spotless and ready to impress! All of the cleaning items we use are certified organic so that you can regain your dust-free window with a view without having strong or subtle toxic aromas invading your space. Have you been neglecting the curtains in your home because of their extended length, heavy pleats, or ruffled texture? These different types of curtains offer no problem for our experienced cleaners and treatment providers. Likewise, we’ll handle your gentler, finer drapes with the same professionalism and attention to detail! Sometimes the best drapes are the sheer ones we use to filter sunlight, rather than block it out. With a regular pickup from us, you can have all of your drapes returned to you in no time as good as new! Get a hold of us soon to schedule a time for your drapes to receive our star treatments and deftly-handled cleaning services. Re installation at your location.